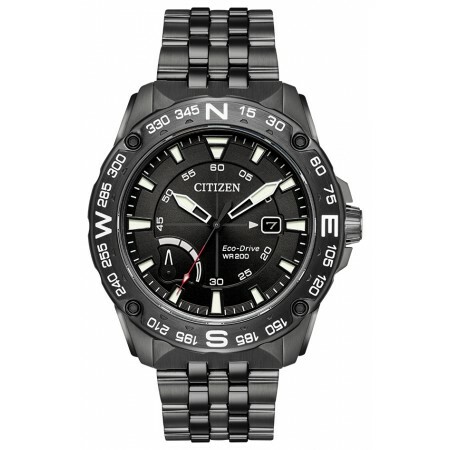 CITIZEN PRT MODEL ECO DRIVE 45MM. 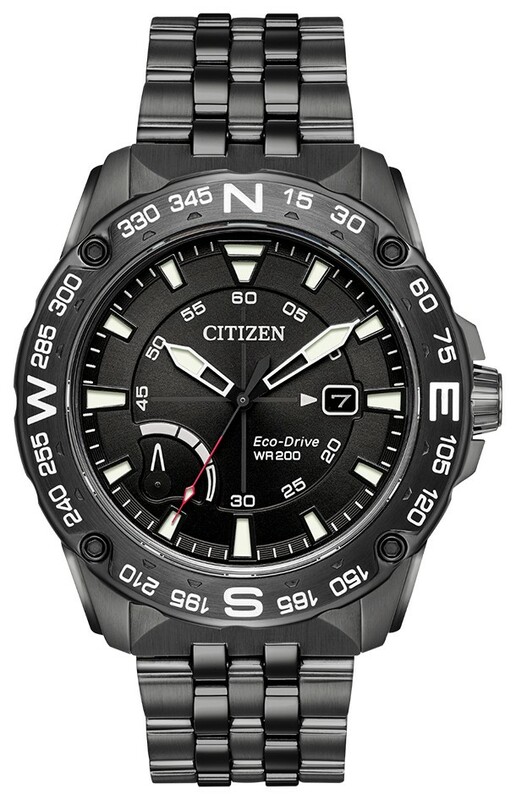 POWERED BY ANY LIGHT WITH ECO-DRIVE, THIS MODEL IS DISPLAYED WITH A GRANITE ION-PLATED STAINLESS STEEL CASE AND BRACELET WITH DARK GREY DIAL. 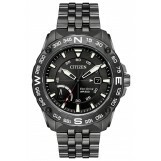 FEATURING POWER RESERVE INDICATOR AND DATE.